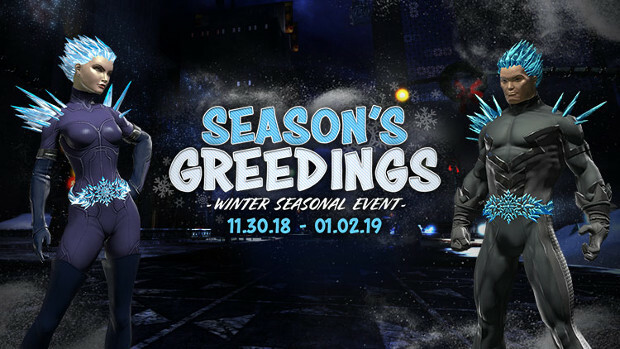 Even superheroes celebrate the holidays, and in DCUO they’re celebrating them the only way they know how, with events and new feats. During the seasonal event, players will have a special mission: locating stolen gifts in Metropolis and Gotham. Stop Larfleeze before he ruins Christmas. Players need to pick up either “Yuletide Fear” (Villains) or “Winter Plunderland” (Heroes) in order to start the event. Following these they’ll be offered the daily mission “Ring in the Holidays”, which they can complete to earn Holly Leaves that can be traded for rewards. Players will also want to hit up Skeets’ Workshop and check out the special discounts. The event and sale are already ongoing and will run until January 2.